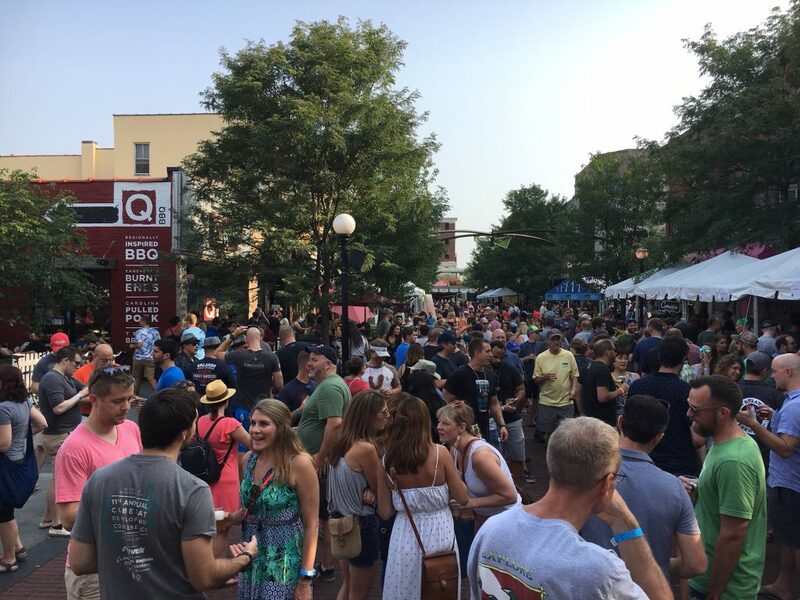 The Oak Park Microbrew Review is the unofficial End of Summer Beer Festival Season festival, in my mind. 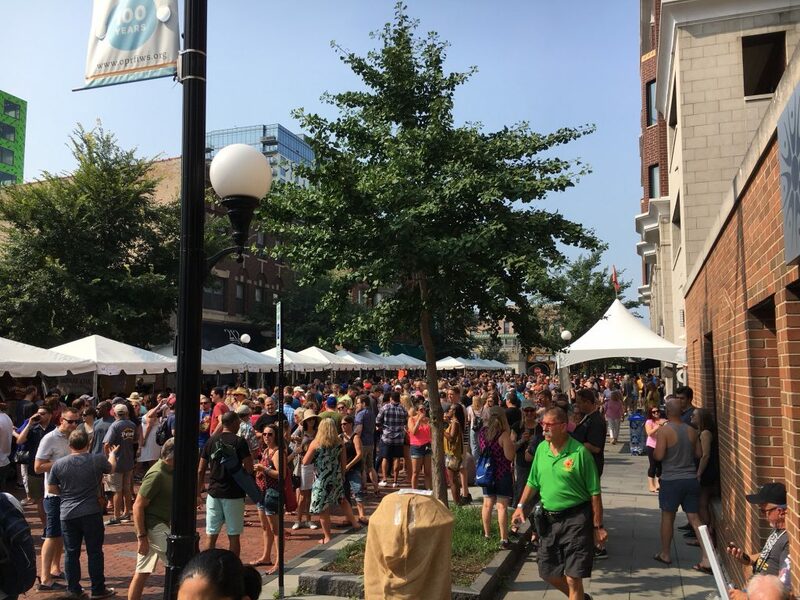 (Which is great because we all need to start preparing for Fall Beer Festival Season, which starts next weekend.) 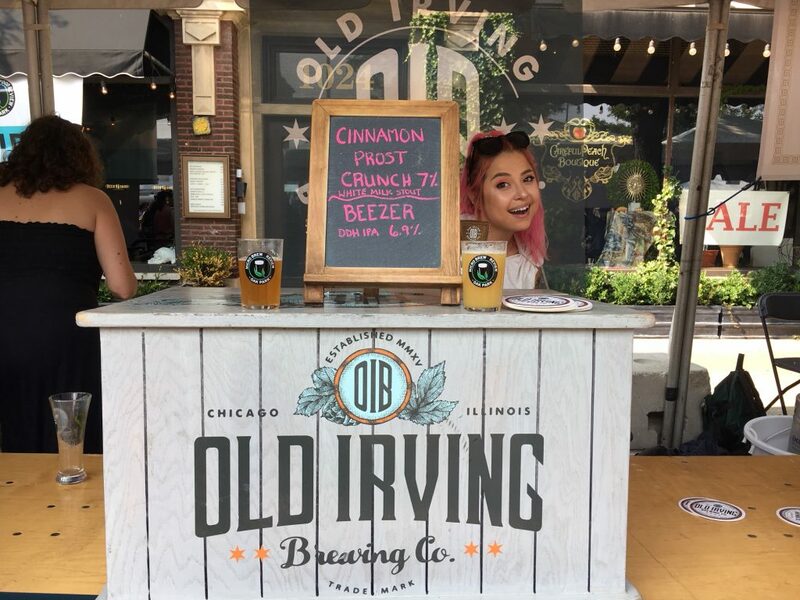 In its 11th year, the OPMBR remains one of the most consistently well-run fests in or around the city, with enough unique features and a well-curated brewery list that should make this a must for all Chicagoland beer lovers. 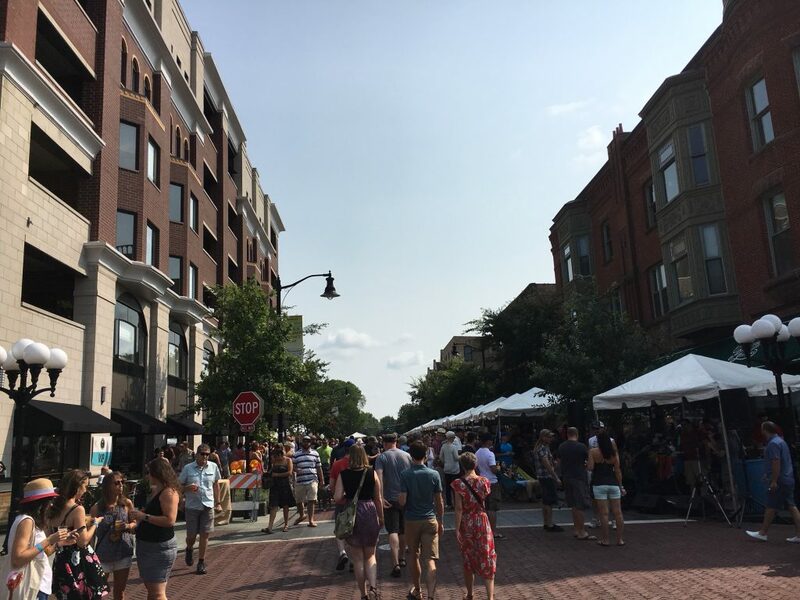 Organized by Seven Generations Ahead, the fest promotes sustainability by being a zero waste fest and through partnering with like-minded organizations to educate attendees on issues like energy efficiency, water conservation, and green businesses. The festival itself has many advantages compared with some of the more noteworthy Chicago fests that seem to sell out much faster. 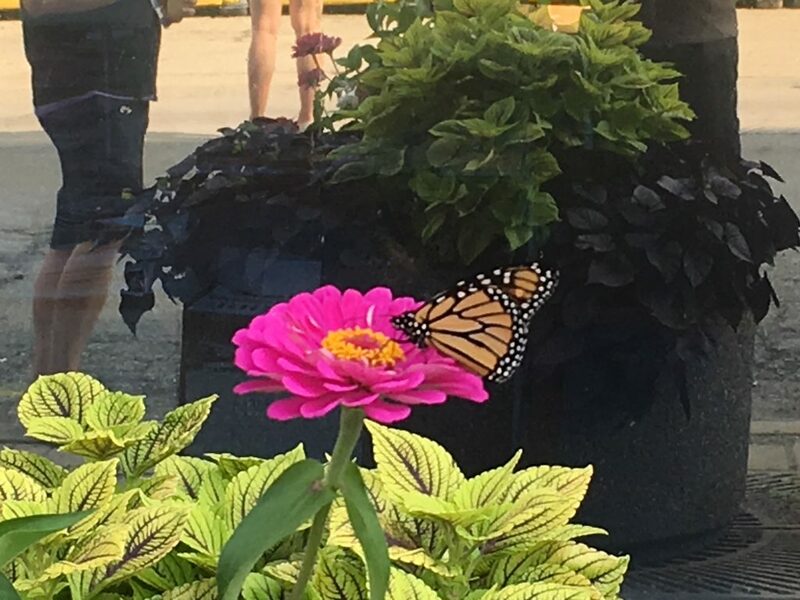 We never waited in line for a bathroom (and the port-a-potties were almost disarmingly clean, for the most part), and food was plentiful with never more than a short wait at any station. 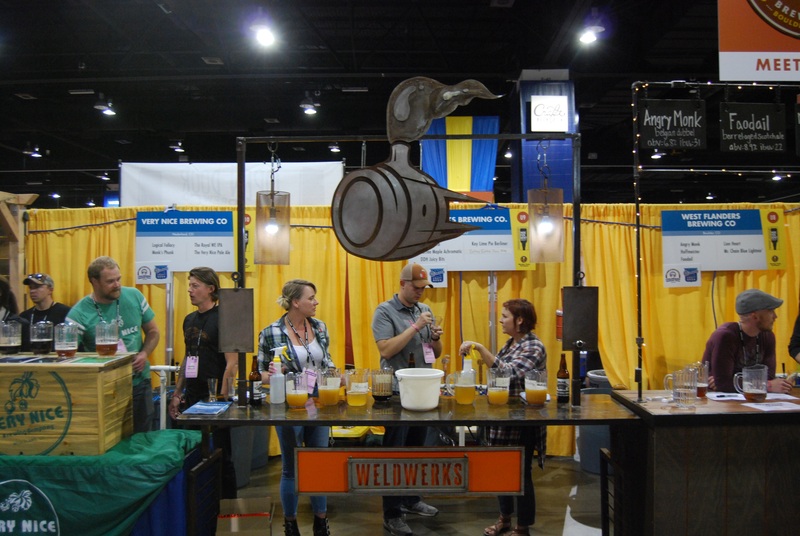 Breweries were not limited in what they brought, with many pouring two beers for the day, while others had a large variety of options, including a few stations with timed tappings for their more “rare” offerings. 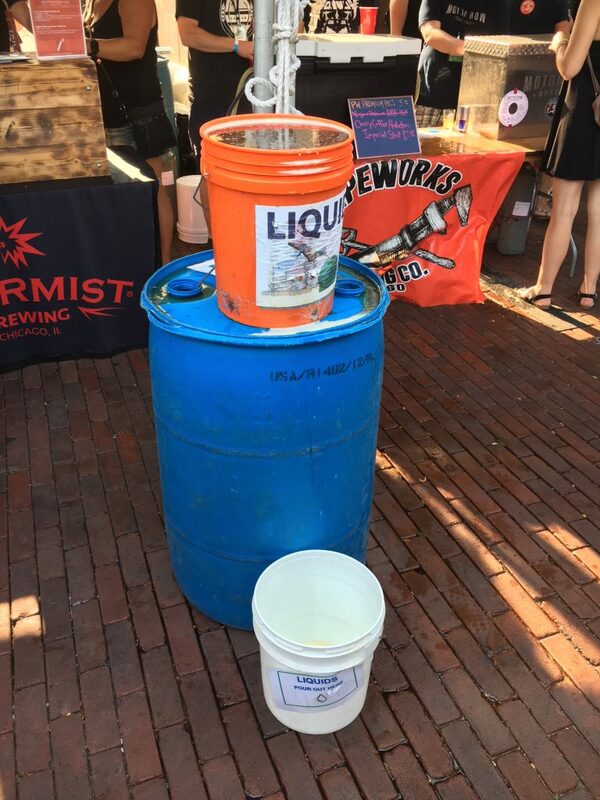 There’s also the Hop Challenge, which pits a few dozen breweries in a voting-based competition to brew a fest-specific beer using a specific hop: this year’s was Amarillo. Add on to that a VIP session featuring even more food and special beers, and you have many options for getting the most for your money. 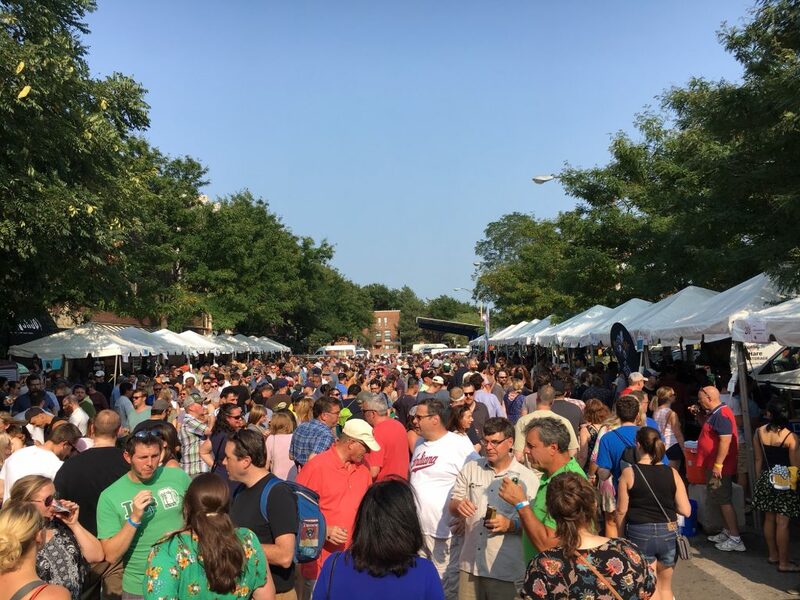 But you’re here to read about the beer, so the following list is not in any particular order – just a bunch of highlights that made an 85-degree Saturday in Oak Park feel like paradise. 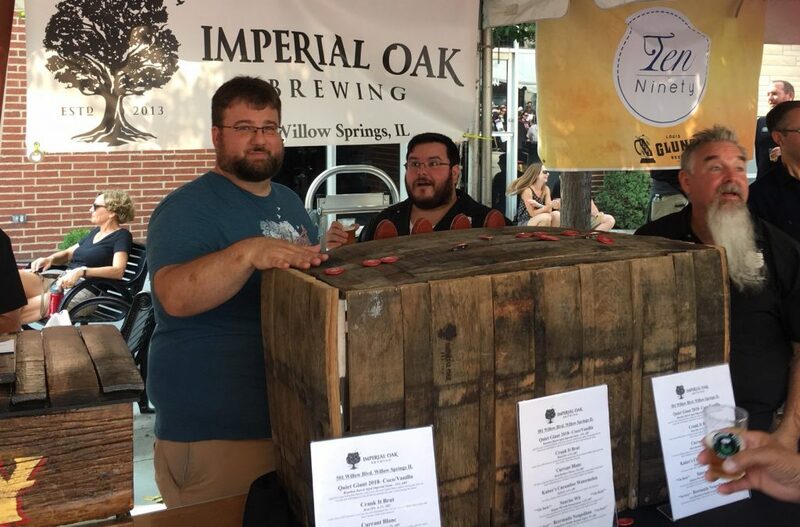 Successfully defending their 2017 Hop Challenge trophy, Old Irving Brewing took the top prize in the 2018 Hop Challenge. 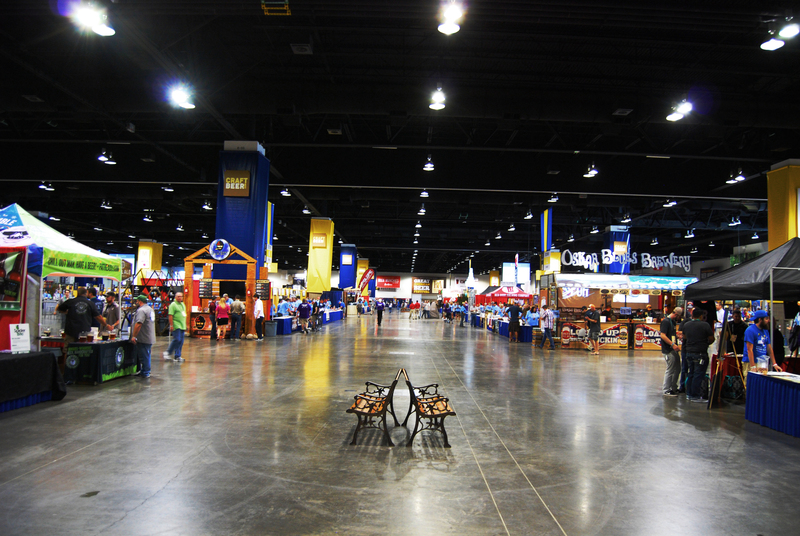 They also won an award that they didn’t know about called, “#1 Brewery I Told People To Go Try Immediately” because both of their offerings were outstanding. Even in the never-ending fog of New England-styles that have enshrouded the IPA, there are still some locally that bring into focus exactly why the style took over in the first place, and why we should be psyched about it. Of course I’m talking about Hubbard’s Cave. Actually, I’m also talking about Beezer from Old Irving. 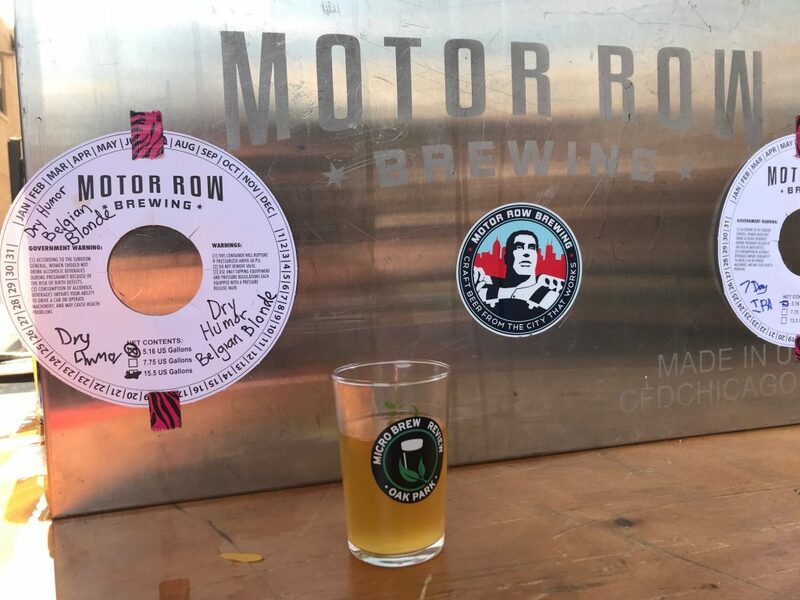 This DDH IPA takes the Stockton and Malone of hops, Citra and Mosaic, and lets them run the floor in this medium-bodied and fully effervescent juice cocktail that doesn’t shy away from a bitter and slightly dry finish. It’s alive with a citrus-led tropical fruit medley, but it is absent of the sugary sweetness of so many others made the hazy way. Cinnamon Prost Crunch, which will absolutely not be called that if it is ever canned, is a white/golden milk stout with Saigon cinnamon and Tahitian vanilla. It smells and tastes like drinking the milk from a freshly-devoured bowl of its suggested namesake, and it does so without being a sugar atrocity. Sure, it has sweetness, but the rich vanilla followed by a kiss of cinnamon spice makes it finish perfectly. The body is as light as its color suggests, but there is still a slightly creamy mouthfeel to it that adds another layer to the experience. I hardly believe that Jacob Sembrano was born as us mortals were: he was sprung forth from hoops and staves, the spawn of perfect barrel-aging. Always remember when Jacob was at Goose Island Clybourn and raking in FoBAB medals and producing limited bottle releases that still hold high value today. This stout is absolutely as good if not better than a lot of what came from that tenure. It’s complex beyond imagination: at times you taste horchata, caramel-drizzled pecan pie, coconut-filled dark chocolate, and a Tom & Jerry cocktail. Every sip produced a different joyous outcome. 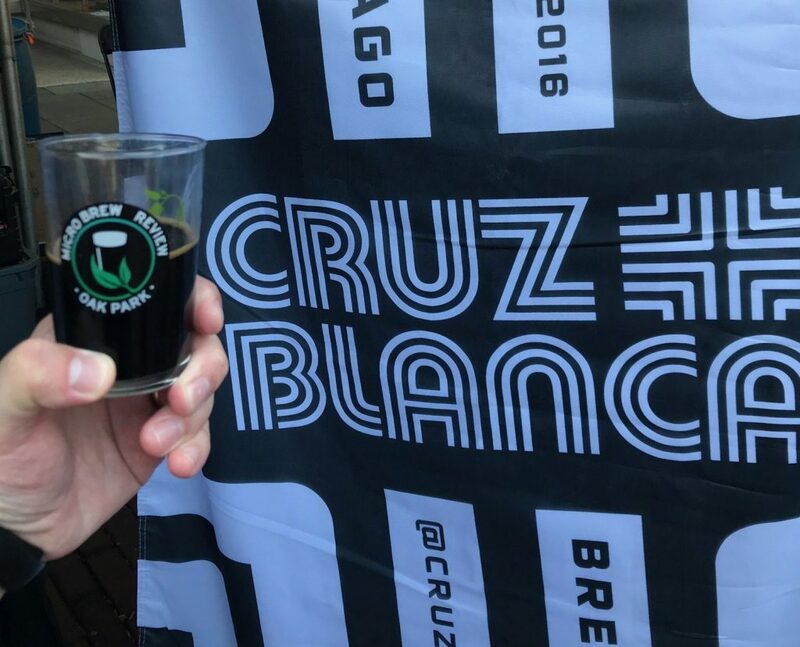 It’s also worth noting that Cruz Blanca is getting ready to bottle a barrel-aged pineapple saison that my podcasting partner has said is, “the closest thing to Pineapple Brettanomite I’ve ever had” which should make your heart palpitate a little if you know the reference. Quite a few chocolate-candy hearts were broken when Goose Island revealed that the Neapolitan BCBS for 2018 was only a decoy, but I’d put money on an influx of stouts made with that influence much like the s’more craze of the last two years. (Hailstorm is already on board!) But a Belgian Tripel with that thrice-cream flavor couldn’t work, right? Well, this one does. It tastes exactly like Dubble Bubble and melted Neapolitan ice cream. It’s sweet but doesn’t finish with an unpleasant amount of sugary gutrot – it invites multiple revisits and still retains some of its Tripel-ness beneath the gimmicky additions. This beer turned me into a regular Owen Wilson with the amount of “wow”s I dropped with each sip. By my sloppy, inaccurate count, I spotted about four Brut IPAs (one called “Glass Shark” by Blue Nose Brewery that I somehow missed, but seriously, great job), but no showing of the Extra Circus Brut IPA recently released by Around the Bend. Why? Because, according to founder Dan Schedler, they already sold too much of it. Never the mind, this sessionable IPA has just enough sweet pineapple juice to lay onto a moderately malty beer with enough hop bite in the end to force that elbow to bend again and again. It’s both perfectly drinkable for a sunny, high-80s day while being flavorful and complex. God bless Lo Rez. They brought an 80 Shilling and a Belgian Golden Strong to a festival chock full of juicy and sugary crowd-pleasers. And if you know Kevin and Dave, it’s not an antagonistic thing – they’re just total nerds with reverence for older and international styles who just happen to have the technique to nail their versions of those old stalwarts. I don’t think I’ve seen another American take on an 80 Shilling beer outside of Odell. And this one might be better than that. There’s light earthiness in the aroma that’s soon overtaken by caramel and dark fruit. The flavor is a bit more caramel maltiness with some light fruity esters, roasted nuts, and a subtle bitter and earthy finish. It’s the perfect beer to readjust with. I enjoy wheat beers, but couldn’t they be even more drinkable? Well, Kinslahger made a lager that passes itself off as a wheat ale in the sight and aroma, but drinks like a lager using wheat as an adjunct – and we should all be happy about this. It has slight orange pith notes, a subtle floral hop, and a light wheat bread flavor before that clean lager finish. If you love Dovetail (who I had waited too long for at the fest only to miss out as their kegs were dry by 6), you need to stop in to the little taproom on Roosevelt to try the impressive array of lagers from the folks at Kinslahger. Or at least look for their cans of beer, because they seem to be everywhere these days. This one was a much-needed liquid oasis after I’d had an exhausting surge of sweet and boozy beers. Like finding a long-sought patch of shade while a slight breeze picks up, it instantly refreshes with crisp floral hops and a fleeting honey sweetness that makes way for a sudden rush of dryness. Like, insanely dry. It’s like if you bought a record and the A side was all tight jams with a touch of saccharine pop, and then the B side was just the recorded audio of gusty desert winds. I think I’m out of similes. I have very little information about this beer, so I have no idea if this listing is accurate. But I did drink something that may have been a saison that tasted like a gin and tonic made by Lake Effect. It has notes of juniper, lime, and white pepper along with a pleasant amount of THP for a nice Cheerios flavor to help settle things in the finish. Repeated sips bring out a little more of an oak character from the barrel, but it pulls together many elements of a gin and tonic while still being a saison. It’s another lovely summer beer. This should not be news to anyone. This beer was made to be had while you sweat. 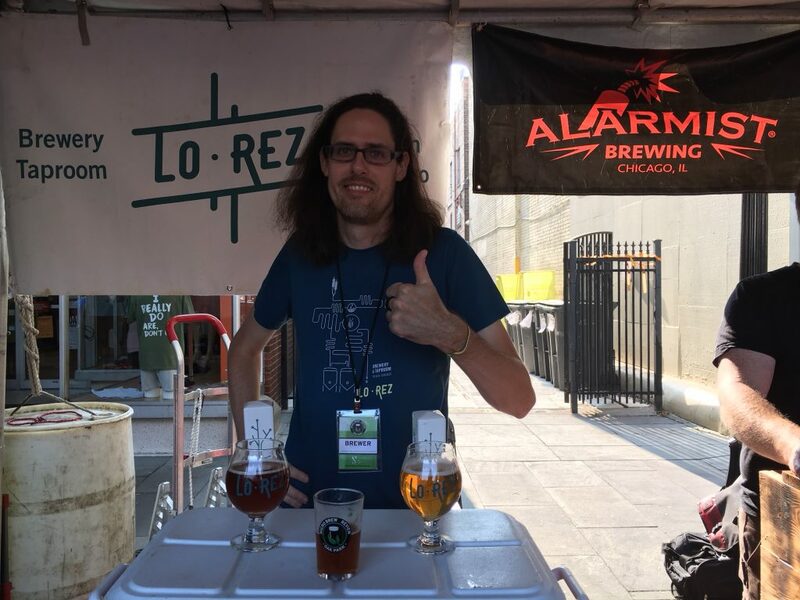 Nevermind the fact that a certain legacy craft brewery from Delaware claims to have made the scientifically most thirst-quenching beer available. Nah, keep it. This is like an artisan sports drink or a bourgie sparkling juice that is tempting to just kind of dump into your open mouth and down your chin from a forearm’s length away after unsnapping your bike helmet while the commercial’s voiceover kicks in. For two years, I was convinced that Off Color had secretly paid Craig to work as a sleeper agent within our podcast to promote this beer because he talked about it that much. I get it now. 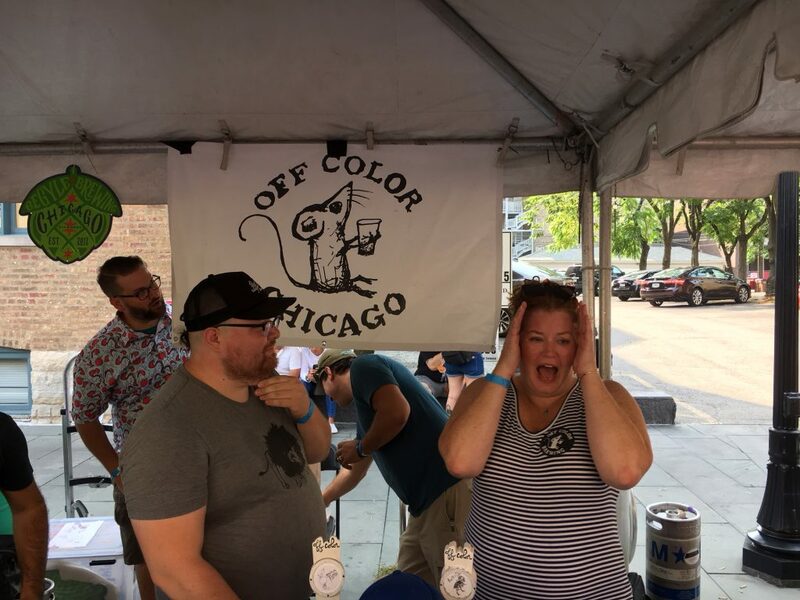 Also, as a bonus (and because Jen from Off Color is awesome), we had a pour of Tiny Pillows – an understated beauty of a beer with notes of white wine grapes and papaya with a soft body and slightly dry finish. One of the very few non-Illinois brewers pouring at the fest, Collective Arts had their cans lined across the top of their jockey box for a good reason: they’re releasing some of the most eye-catching can art in beer right now. I’ve had relatively few of their beers personally but have had many recommendations to try more, and after this, I’ll have to. I’ve struggled to like Sour IPAs, and not just because it’s liquid clickbait (#liqbait ®), but because they almost never do both aspects of it well. Although this is called a “dry-hopped sour,” I see what they’re doing here. And it works – big citrus, grape, and tropical fruit notes from the hops are in the middle before a tart kettle sour finish wraps it up.